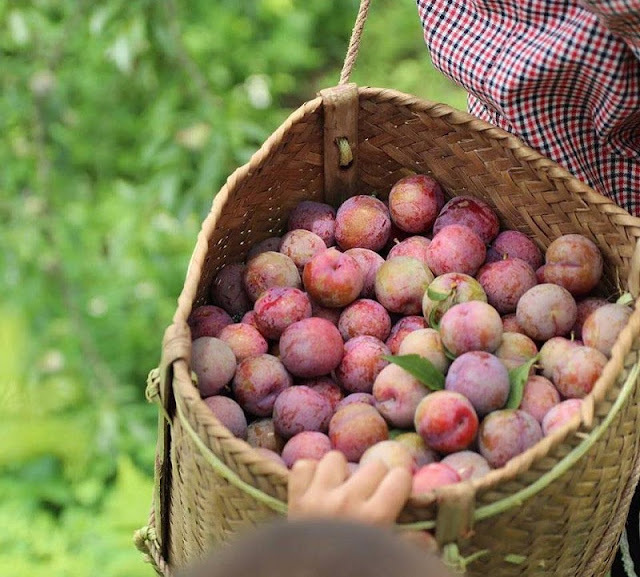 Home > Travel guide > Moc Chau travel is nothing special in the season of ripe plum? Perched at 1,050 meters above sea level on a 1,600-hectare meadow, the Moc Chau plateau deserves its nickname: “Da Lat of the northwest” and it is vibrant and bustling with thousands of tourists. Its picturesque and varied landscapes in a region are blessed by nature. If spring is the best time to admire the stunning beauty of Moc Chau plateau when the white plum blossom cover many hills and valleys in the land making it extremely attractive and lovely, the summer will give you a new look about this place. Average summer temperatures in Moc Chau are 20-26 degree Celsius and there is usually a cool and dry weather all year around. The soil here is said to be very good for growing some kind of plants, especially plums. 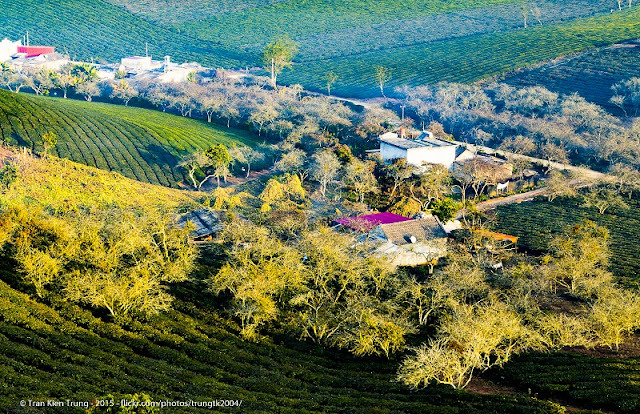 Coming to Moc Chau at this time, visitors will be able to admire the lush plum hills lying along the road. Red plum clusters ripen as just wants to burst out of the fragile shell lying behind the green leaves like the cheek of Moc Chau girl always pink shyly. Plums in Moc Chau is not the same as it is in other provinces. Thanks to the favorable weather, climate and soil, Moc Chau plums are much more plump; Besides, Moc Chau plum has a pleasant aroma, crunchy, strong taste, a great harmony between natural sweet and sour. How to go to Moc Chau From Hanoi? About 200km from Hanoi and more than 100km from downtown Son La, now you can only move to Moc Chau by road. Located on Highway 6 to some North West provinces. You can use the public transport route through this area. The bus lines from Hanoi to Son La or from Hanoi to Dien Bien will go through Moc Chau. There are many departure time frames to match your plan. Or the fastest way to get to Moc chau from Hanoi is through travel companies. Go to Moc Chau plateau in the ripe plum season but don't forget to enjoy the special dishes here. 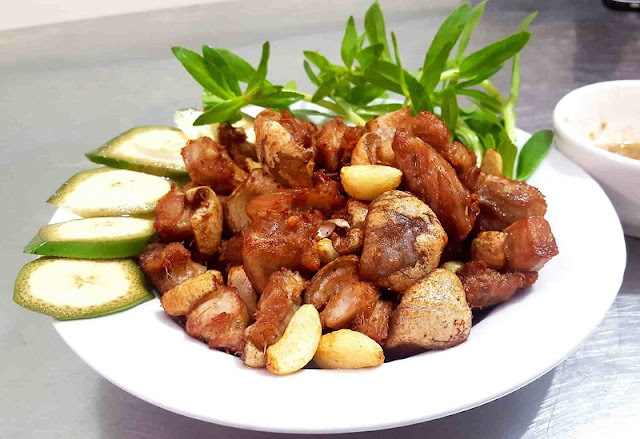 Chao calf is famous specialty of Moc Chau tourism to the extent that most of the bars here have this dish on the menu. Ingredients to make delicious veal perturbed least a week old calves that graze not only drink breast milk. Its essence is the good in that “hot”: pieces perturbed calf shortly after eating fat from the pan and drain completely different when cooled: it is soft, sweet, more aromatic. The heat of the meat, add a few pieces of old ginger soy sauce scented with sweet sluggishness makes you ecstatic. The green tea fields stretching far as the eye in Moc Chau not only create beauty for tourists to visit, photograph and record the anniversary, more than 3,000 hectares of tea plantations in Moc Chau also offers delicious specialty tea varieties, that exports the main revenue earner for many households here. 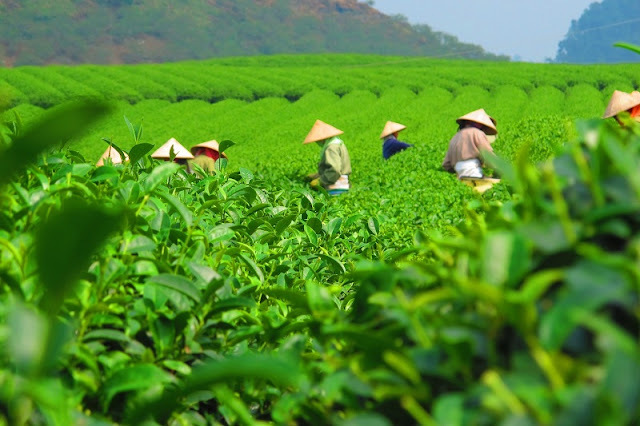 The delicious specialty tea varieties was famous as San Snow, Bat Tien, Olong … have appeared on the tea area. Each type brings its own flavor to the user. Suoi Bang stone snail appeared frequently in the rainy season, from May 8-11 Lunar. Snails are abundant in these streams is preferred by taste delicious, unlike other kinds of common snails. Snails caught on after cleansing will be processed into more attractive delicacies. The most common is boiled lemon, sour soup or mango salad leaves. Fleshy taste of real crispy when combined with the pungent peppers are suitable for drinking sessions with friends. 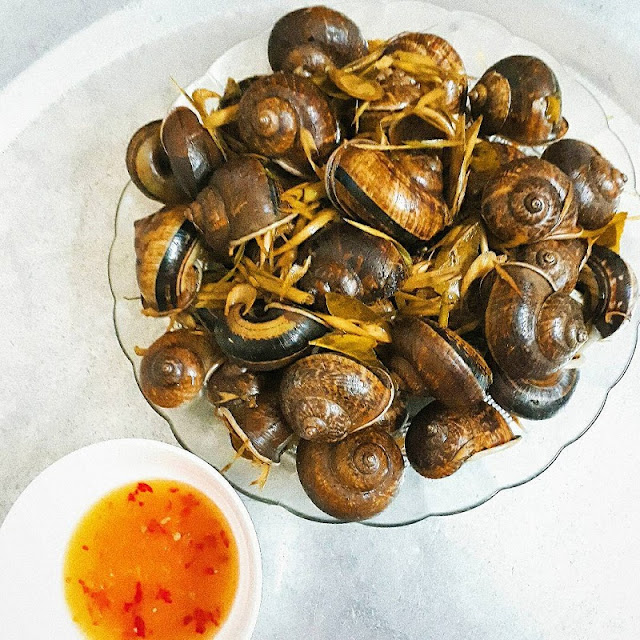 Moc Chau to this season, you can preset the innkeepers or restaurant to enjoy the freshest dishes snail. Specialty Moc Chau also enriched with fish dishes grilled spring. 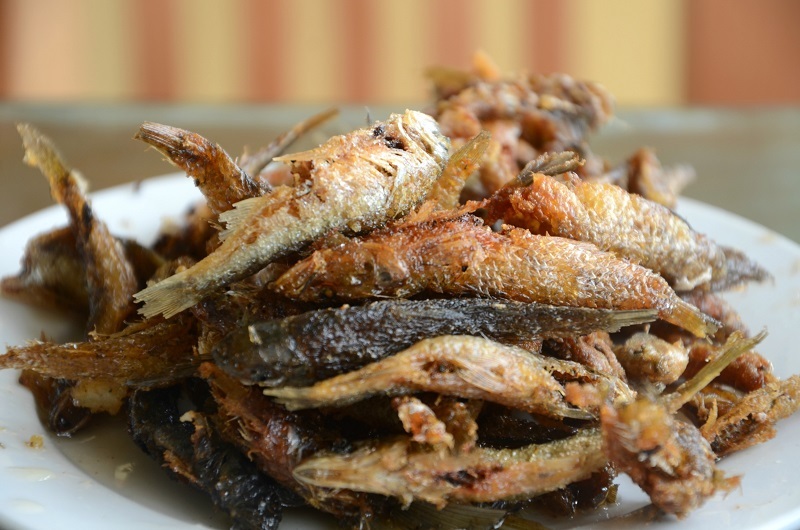 Spring fish baked in Moc Chau is favorite dish of many visitors because fish is not fishy, but the baby but can eat meat and bone and tangy taste is attractive. After cleaning, dispose of fish to honey harvesting and intestines, then marinated with concerns merit, forest herbs, lemongrass, chili … and used bamboo stick grip, grilled over charcoal for about 15 minutes turning yellow is cumbersome usable. Moc Chau plateau is paradise notorious northern resort with year-round atmosphere chilly and romantic scenery and excellent cuisine. But wait, if you have yet to book accommodation in town, let's contact us to get ready for the upcoming journey.